I am feeling in need of something in between! Something to gently ease me from sandal to boot in the coming weeks! 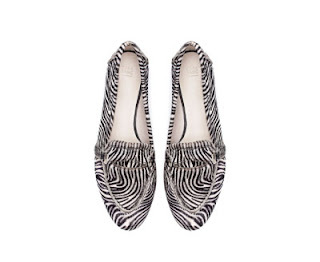 Since I already have ballet flats in what feels like every shape and form, I'm in the market for trying something new.....maybe something for loafin' about in?! After doing a bit of leg work I think any of the styles I have found should fit in nicely with some new purchases that I have made (more about those in a day or too!). Most of my Autumn acquisitions are very casual and dare I say it......I could be having a bit of a preppy moment!! 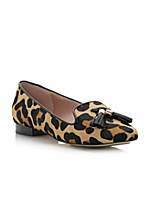 So a loafer will fit right in with what I have been buying.....I just need to find the perfect pair! 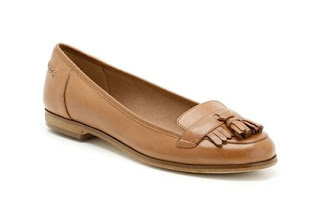 Where better to start than Clarks as they have done a great classic loafer! Just as gorgeous in the black leather.......love the lighter sole. One of the above is most likely to end up becoming part of the Autumn/Winter uniform I have been banging on about! I am definitely in the market for a new kind of shoe! There is a loafer shape hole in my footwear collection! Is there anything you are missing shoe wise that you will be giving a go this season? So onto this weeks threads!! I have been trying to squeeze out the last few wears of the Summer stuff kicking off with a last wear of the shorts!! The last day of the school holidays I took the little 'un on a bike ride which called for this sensible ensemble as it was a scorcher! First day back to work.....thought a bit of an effort should be made! It is definitely getting a bit chilly in the mornings now so the scarves are beginning to make an appearance! The day after the wedding I came over all smart to go out for a spot of lunch, desperate to get a bit more wear out of this lovely jacket! Finally, Sunday's food shopping scruff's!! So there we have it! Autumn is definitely in the air so Summer clothes are being packed away, time to make some room to fit the new purchases in the wardrobe! Back shortly with what I have been snapping up this season!! I think that's why I've set my heart on the Zara ones, they look quite soft and not too clunky! I hadn't thought about brogues.....but they would be a great transitional shoe too! Think you may have started something here Trea! I have my little pair of Opening Ceremony ones but Zara have a pair of pony hair ones which I love and would have snapped up if I hadn't already purchased the other pair. 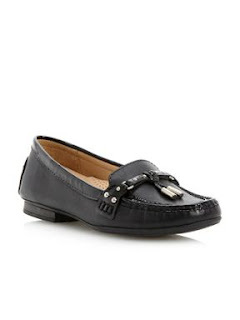 I agree, you definitely need to plug the loafer gap. 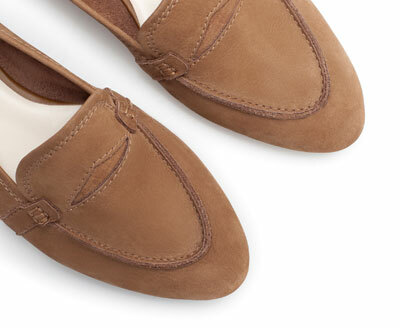 My bet is on the tan/camel suede pair from Zara. Not too preppy but very this season. More flattering on the foot too than some of the ones which come down too low. I have to do loafers because I look so bad in brogues. I'm going to put it down to the fact that I just haven't found the right pair for me so far. Sue, your loafers were the inspiration for this little shoe shaped mission! I am already picturing the many ways in which I will be able to wear them! I am off to Zara this afternoon so I may well be donning some newbies tomorrow!! Your wedding outfit was gorgeous and love that vintage jacket. Can't wait to see which loafer you go for ... like Sue above, I still haven't found a brogue that looks right, so I'm all about the loafer right now! Thank you Helen, I whipped the vintage cardy out right at the last minute! It was just right with the dress and I felt so chuffed that I'd picked the perfect outfit for that day. I am off out later today to try loafers......fingers crossed I can find the perfect shoe, in stock in my size! I absolutely feel the need for a loafer for now but I am going to give the brogue a go to! Will be reporting back on my findings! Something old instead of something new! So how is my wish list going so far?